Many thanks to our guest performers from The Second City, Calvin Hughes of WPLG Miami, speaker Luke Weber, Dr. Paul Meyers, and our first Couple of the Year, Marlene and Bob Josefsberg. 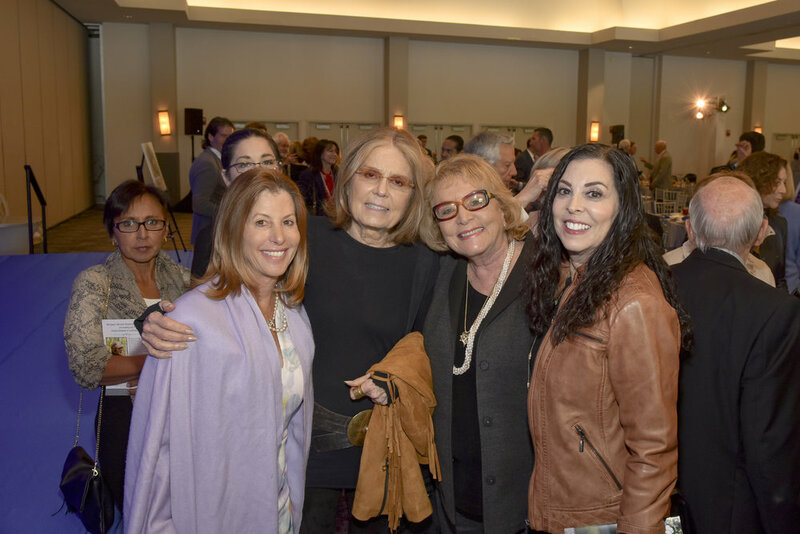 Luke Weber and the Srebnick family, longtime friends of Margaux’s Miracle, are amazing partners and fellow supporters of Memorial-Sloan Kettering Cancer Center. They organize “Team Luke” through Cycle for Survival to raise funds for childhood cancer research. You can learn more and participate in the Miami location for Cycle for Survival by clicking here. 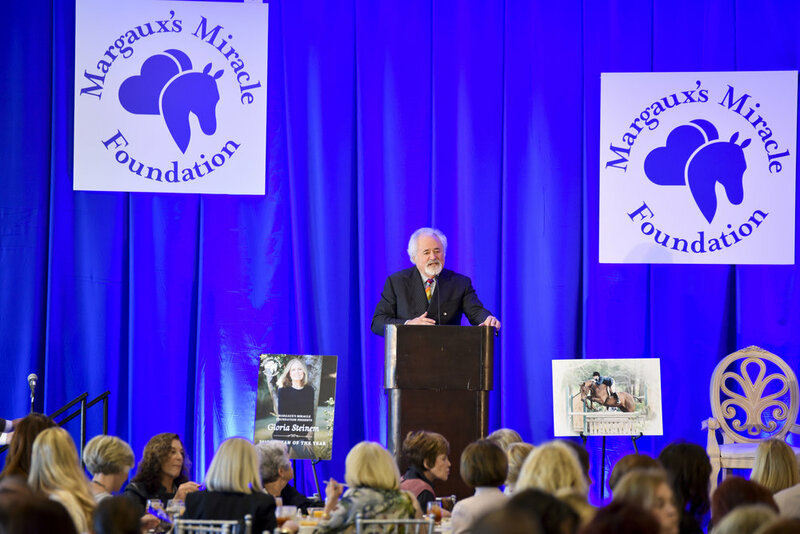 We are honored and excited to welcome Michael Kinnaman, MD, as the Margaux’s Miracle Foundation Fellow for academic year 2018-2019. 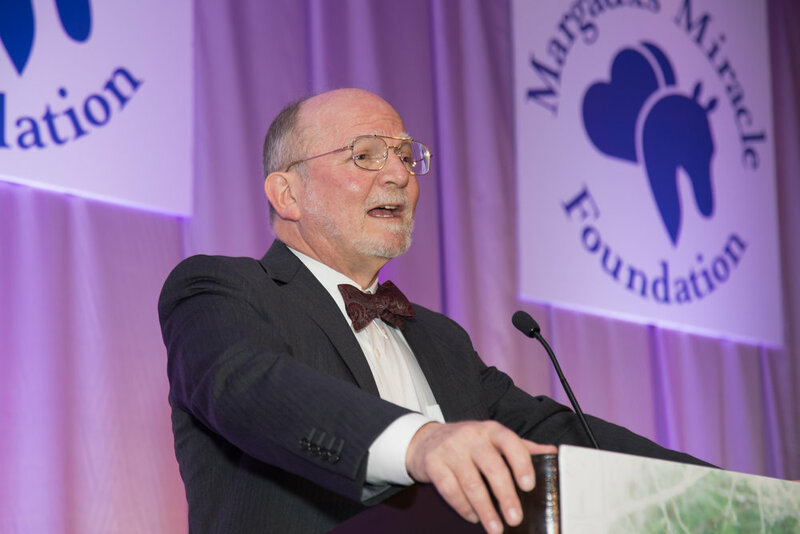 In addition to being this year’s MMF Fellow, Michael also serves as Chief Fellow at Memorial Sloan-Kettering Cancer Center. Michael received his Bachelor of Science degree from the University of Michigan in 2008. 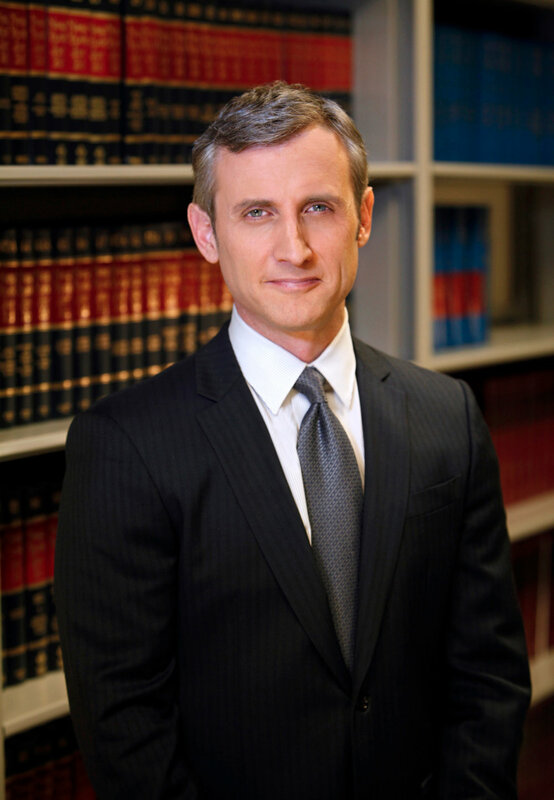 He received his Medical Degree at Stony Brook University School of Medicine in 2013, and then completed his residency in 2016 at Children’s Hospital at Montefiore, here in New York. Michael is a rising star in the field, and he is in the midst of very exciting and important pediatric sarcoma research. You can read his research summary here. 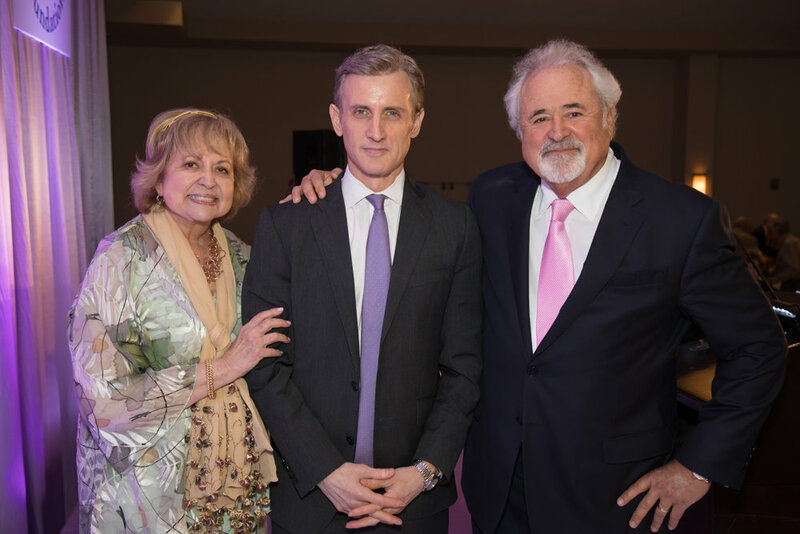 Many thanks to our guest speaker Dan Abrams of ABC News, Calvin Hughes of WPLG Miami, and our Man of the Year, Dr. Paul Meyers. We have successfully begun a clinical trial of a radically new approach for the treatment of Ewing sarcoma. Dr. Jeffrey Toretsky has developed a compound which completely stops the growth of Ewing sarcoma in the laboratory. In collaboration with colleagues at MD Anderson and UCLA, we have now enrolled 20 patients in a clinical trial to test this compound in children. We are required by the FDA to proceed slowly to prove that it is safe, but we are now reaching the doses that should have a beneficial effect. We are extremely excited about the possibilities for this line of investigation. We have designed a trial for newly diagnosed patients with Ewing sarcoma that incorporates into our initial therapy two new drugs that achieved a high rate of response in patients with recurrent Ewing sarcoma. Our preliminary data are showing that we have increased the probability for cure for children who present without metastatic disease to 95%, which is a dramatic increase over our historical results of 70%. Working with MSKCC’s Dr. Nai-Kong Cheung and his colleagues, we have developed an antibiotic that can help to control metastases of osteosarcoma, the most common form of primary bone cancer in children and young adults. We have treated over 40 children and young adults with this antibody. The results are sufficiently exciting and a company has agreed to sponsor a Phase III front line trial for patients with osteosarcoma which will be led by MSKCC but will include the participation of partners at other major cancer centers around the US. Dr. Neerav Shukla, another MSKCC pediatric oncologist, has focused research on the genomics of pediatric tumors including Ewing sarcoma. He has developed an extremely sensitive assay to test for the presence of a DNA sequence unique to the tumor in 40 patients with Ewing sarcoma and it has shown exciting promise as an early warning detector for tumor recurrence before it becomes detectible by scans or X-rays. His exciting work has been published in the Journal of Precision Oncology and led to a leadership role in the Children’s Oncology Group to extend this work nationwide. 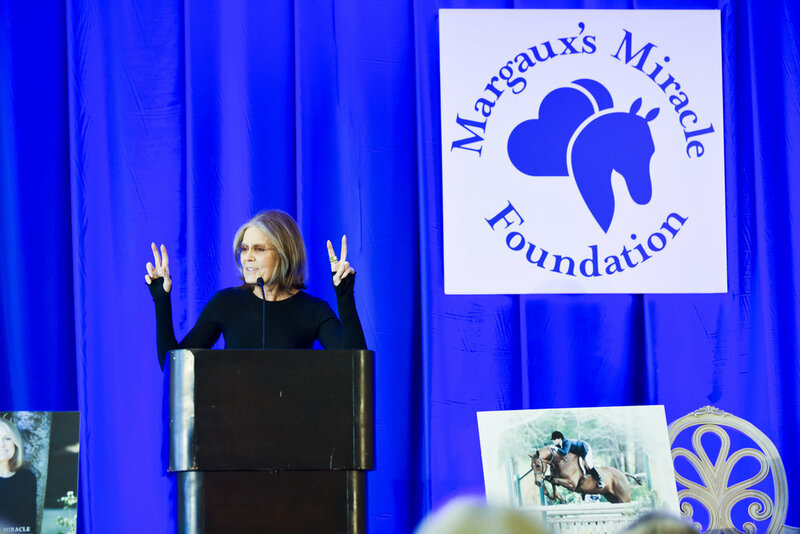 So to all Margaux’s Miracle Foundation supporters, I urge you to help us continue these vital efforts to eradicate these deadly and rare cancers. I look forward to seeing you on March 5th. 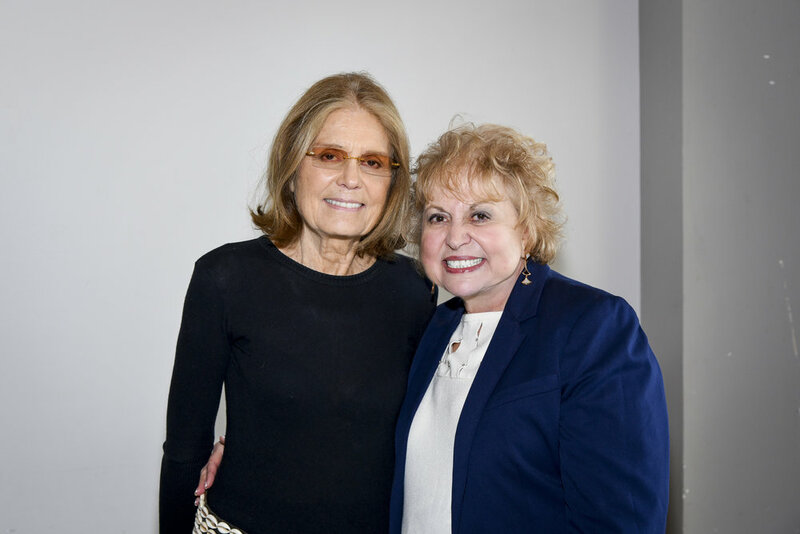 Our deepest gratitude to our guest speaker and world-renowned writer Gloria Steinem, Dr. Paul Meyers, and our female student guests from the University of Miami. Margaux's Miracle proudly gives thanks to the student volunteers from Unity School in Delray Beach. 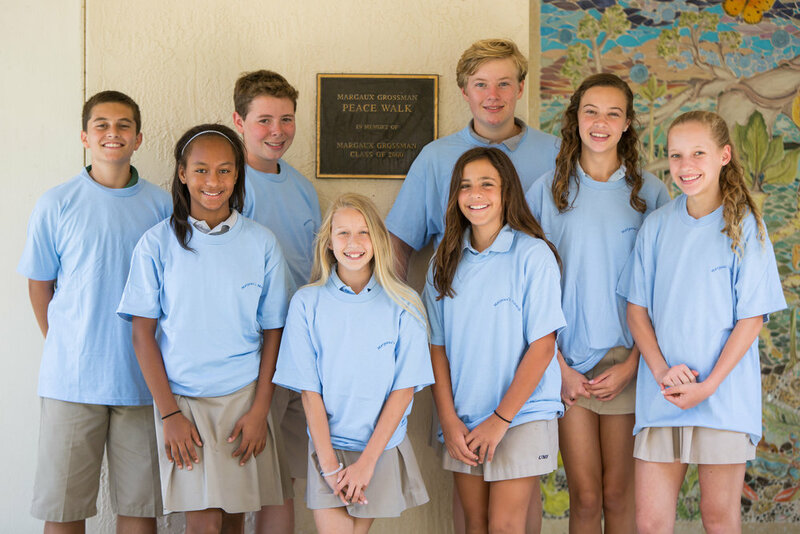 Overall, eight students performed 1,525.5 hours of service to create a commerorative plaque honoring Margaux, and another 70 middle school students completed 3,260.5 hours of service in to honor her in different ways.